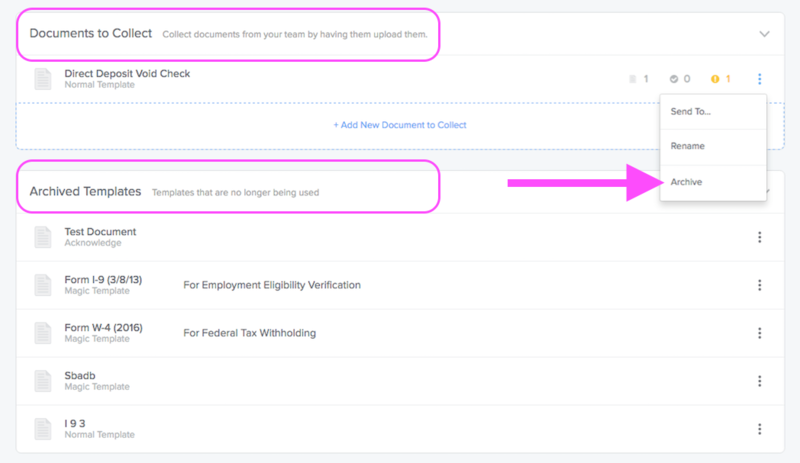 From the Company Page find the Documents Manager then click Manage. 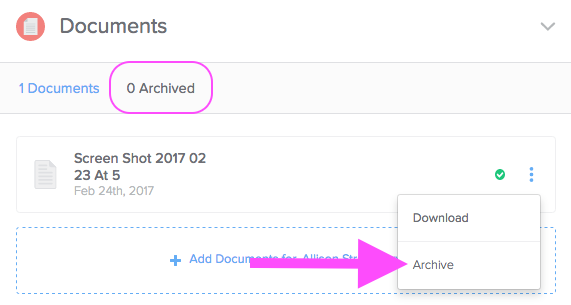 Next, Find the document you'd like to archive then click the more options icon. In the dropdown menu, select Archive. This will place the document into the Archived Templates section at the bottom of your Documents Manager. Go the the Documents card on the employees profile then find the document you'd like to archive and click the more options icon. In the dropdown menu, select Archive. This will place the document into the Archived section toward the top of the employees Documents card.